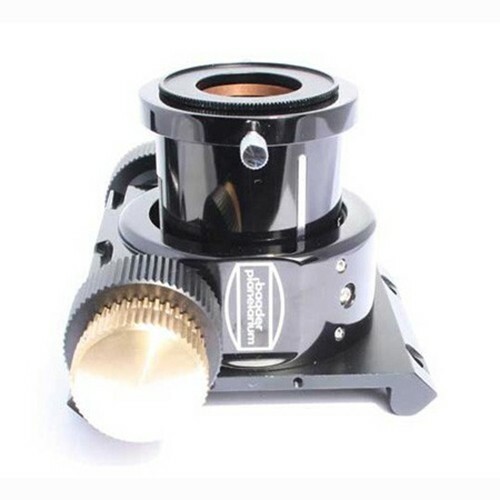 Upgrade practically any Newtonian, small or large, with all of the smoothness, precision, and features of Baader Planetarium's 2" Newtonian Low-Profile Steeltrack Focuser. Fully Baffled and blackened drawtube kills off-axis stray light. Tube hole size of 2.4" Diameter required for drawtube clearance. Universal Base, fits tubes 8" Dia and larger. Designed especially to fit Synta/Celestron Reflectors. 54 x 90mm hole pattern (7mm diameter holes drilled at a 30 degree angle from vertical to work with curved tubes). Optional low-profile (1mm) 2"/1¼” Pushfix Reducer sold separately.